Get those boots and sweaters ready, San Diego. The National Weather Service has issued a Winter Storm Watch from Saturday through Monday. A cold low-pressure system moving south through California could bring snow to the 4000-foot level of mountains in San Diego, Riverside and San Bernardino Counties. Travel to locations like Big Bear and Lake Arrowhead may be difficult if not impossible according to the NWS alert. In our local mountains, we could see more than six inches of snow above the 5000-foot level and over one foot above 6000 feet. 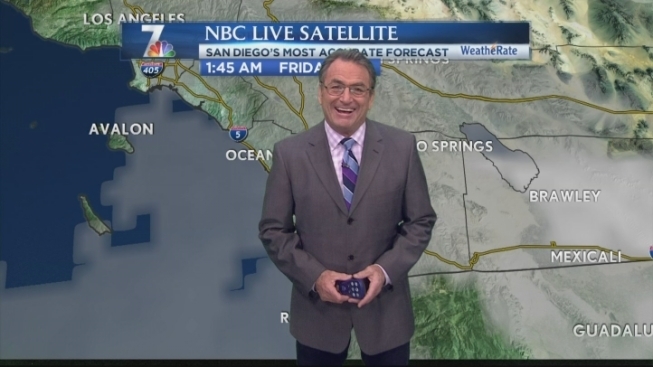 Download the free NBC 7 app to watch the forecast and get updates on weather conditions.